Sarah Winchester began work on the house in 1884 and it continued around the clock for 38 years until her death in 1922. She was heir to the fortune made by her dead husband who was the manufacturer of the Winchester rifle and is thought to be one of the many ghosts that haunt the mansion. When finished the Winchester Mystery House had over 160 rooms, many of them with doors opening into brick walls, staircases to nowhere and miles of twisting hallways that served no purpose other then to double back on themselves. In 1881 Sarah Winchester had consulted a medium, after the premature deaths of both her husband and her daughter. The medium told her they had died as a result of a curse brought upon them by the many victims of “the Winchester rifle”. The only way to avoid the curse was to continue work on the Winchester Mansion to appease the spirits, and as long as she continued building, then she would live forever. The Winchester Mystery House tour I was going on was the flashlight tour which they only have during Halloween week and on a Friday the 13th. The difference being that it is done at night, and in complete darkness. You are however issued with a souvenir flashlight so you can see your way around. This is another of those events you should book well in advance. Although they have several tours on each night, they do normally sell out. I arrived at what is a massive Victorian mansion at about 9 pm ready for the 9.30 pm tour. The place was extremely busy with literally hundreds of people either in the restaurant or gift shop or waiting to go on the tour. But it is all well organized, so you wont miss your time slot. There is a huge range of merchandise related to the house available, from postcards to videos, fridge magnets to souvenir plates. 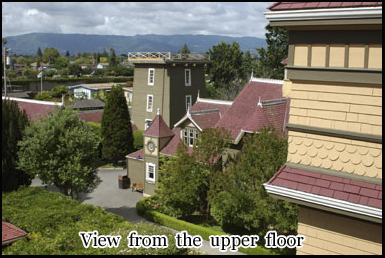 The Winchester Mystery House is well known throughout the world partly because of the unusual story behind its construction, and partly because of its ghosts. The tour began precisely at 9.30 pm. It was a small group of about twelve people, lead by a guide. 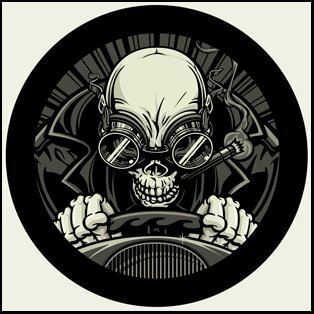 One thing you will find is that as soon as you set off, there is another tour coming up behind you, and several in front, so you’re not going to get to much time look a round. The house is endless. There are one hundred and sixty rooms, forty seven fire places, thirteen bathrooms and four hundred and fifty doors. It was in fact much larger until the San Francisco earthquake of 1906 caused the top three stories to collapse. Up until this event the then owner, Sarah Winchester actually slept in a different room every night to confuse the spirits that she believed where after her. Even in the dark, as you file up the twisting staircases you will notice how perfectly restored everything is, although new building ceased in 1922 when Sarah Winchester died aged 82. The tour guide has an extensive knowledge of the mansion and its history, and one of the particular things of interest she pointed out was Sarah Winchesters obsession with the number 13. As we walked through the various rooms in the second floor of the house, the guide pointed out thirteen steps on the stairway, thirteen squares either side of the elevator, thirteen ceiling panels in one of the bedrooms, and even thirteen holes in the sink drainage cover. Apparently Sarah Winchester also signed her will thirteen times. Eventually we came to what is known as the seance room. This is where she attempted to contact the spirits she believed haunted her house. There have been many reported ghost sighting’s over the years including that of a man wearing workman’s overalls, as well as the figure of Sarah Winchester herself. Staff and visitors have also heard footsteps in empty rooms, lights have been turned on and off by themselves and several people have reported smelling chicken soup in the kitchen, although nothing has been cooked there for years. The guide pointed over to the cupboard in the séance room where inside there were thirteen coat hooks. 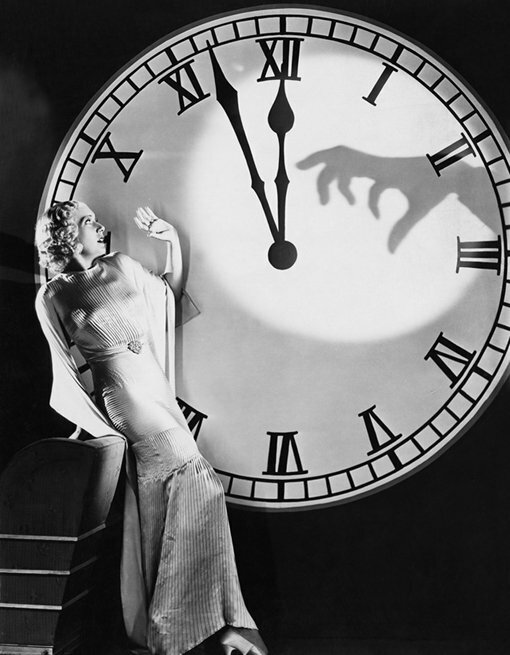 She also told us that none other then Harry Houdini had visited the house in 1924. If you shine your flashlight around, you can see that no expense was spared in the houses construction. This is particularly apparent in the grand ballroom. It originally cost $9000 dollars to build at a time when $9000 could have bought you a small house. Many of the windows are what are known as art glass, and each of them alone would cost several thousand dollars in today’s money. But after her husbands death, and her inheritance of the Winchester rifle fortune her financial resources where almost unlimited. The Winchester Mystery House itself now sits in the middle of what is now known as Silicon Valley , where property is already some of the most expensive in the world. It is worth several million dollars just for the land value alone. As you continue on the tour you will notice doors that open into brick walls, and stairs that lead up to the ceiling and then stop. This was all done in an effort to confuse the spirits Sarah Winchester believed were haunting her. 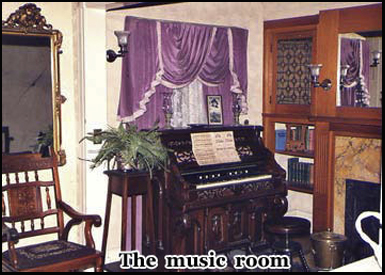 The music room is supposed to be one of the most haunted rooms in the building. 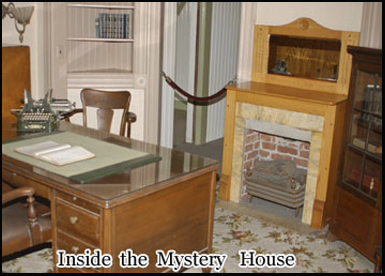 There have been many psychic investigations of the Mansion. During one carried out by members of the Nirvana Foundation Research Center they recorded ghostly organ music during the night although they could find no explainable source for its occurrence. In another room where Sarah Winchester died in 1975 Jeanne Borgen a Californian psychic conducted a séance. She felt an immense pain in her chest and became short of breath, and claimed to have felt a intense energy that she believed to have been that of the long dead Mrs Winchester. Although the flashlight tour is certainly a unique way of seeing the house, it does get very crowded and you also miss out on seeing the 162 acres of Victorian gardens the Winchester Mystery House is built on. So if you have the time I would take the daytime tour as well. The garden also contains many references to the number thirteen and in one of the courtyards there is crescent shaped hedge. This is a spiritual reference to a moon symbol that points to one of the rooms in the house. And that happens to be the room that the former owner Sarah Winchester died in. 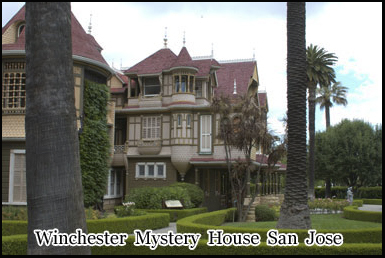 Hey Buddy!, I found this information for you: "Winchester Mystery House". Here is the website link: https://www.chasingmidnight.com/winchester-mystery-house. Thank you.